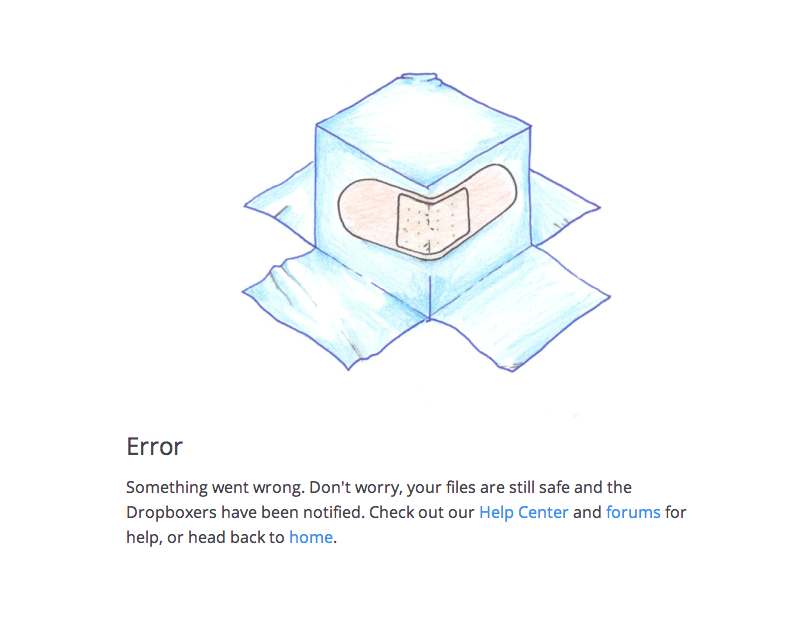 Update 2 – 12 January: Dropbox now says its service should be ” up and running” for all users. Cloud storage service Dropbox is experiencing intermittent outages this evening. Around 6:00pm PST, accessing the service either by Web or through its mobile apps not possible. The API has also apparently stopped working as of 5:45 PST, as Dave Winer noted. Dropbox site is back up! Claims of leaked user info are a hoax. The outage was caused during internal maintenance. Thanks for your patience! Around the same time, a Twitter account allegedly belonging to the hacking group 1775Sec claimed responsibility for the downtime and for compromising Dropbox’s website. The account has more Tweets that talk about how the hackers did so to expose vulnerabilities in Dropbox’s website. Additionally, it claimed to have access to a database and threatened to leak it if fixes weren’t made. It’s interesting to note that this weekend marks the one year anniversary of the death of Internet activist and computer programmer Aaron Swartz. Later, a sample of what is purported to be Dropbox’s database was revealed. A hacker going by the name “Thomas Jefferson” supposedly belonging to 1775Sec claimed responsibility. We have reached out to Dropbox for confirmation on whether these are legitimate users — this could all be a clever ruse. Update: As many have pointed out in the comments section and on Twitter, the “leak” is a hoax. Our apologies for the error and this post has been updated to reflect this. When inquiring with Dropbox about whether it had a security breach, the company remained firm in its response and attributed its current outage on a “routine maintenance” issue.